WWD has just broken some news that is definitely worth repeating, sharing and screaming from fashionable rooftops. 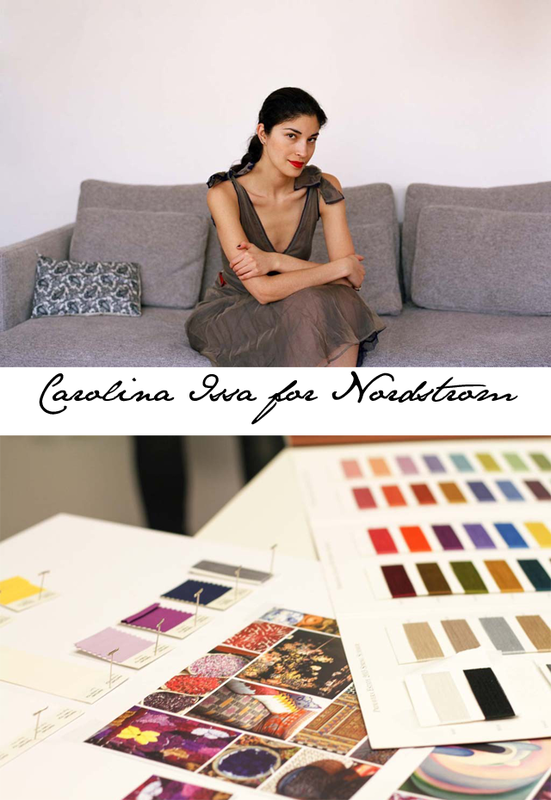 Carolina Issa is collaborating with Nordstrom. Google the name Carolina Issa and I guarantee you'll recognize this face instantly. She is the darling of the street style, the style envy of all and one of the most clever women operating in fashion today (Issa is also the CEO and publisher of Tank Magazine in London). Come Spring 2015 (February), we will be introduced to the first Nordstrom Signature Carolina Issa collection that will be made up of 25 pieces ranging in price from $225 to $2,995. It's been the dream of many to dress like Carolina Issa... looks like someone was listening in on your dreams, people. If you want to get a preview of Carolina Issa's design talents, just check out the recent collaboration she did with LK Bennett in London. A huge congrats to Nordstrom and Carolina Issa on a beautiful partnership. We can't wait to see what you have in store for us.